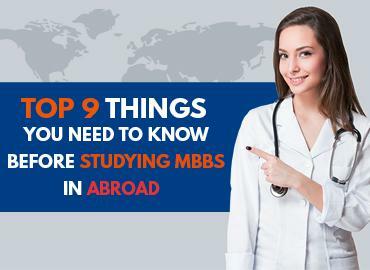 For all the International students, especially Indian students, you should pursue your MBBS degrees from foreign countries instead of India as it is a very attractive option and has many positive advantages to it. You will have many career opportunities to choose from and graduates can work anywhere in the world of medicine, as the degrees awarded by the medical universities there are globally recognized. 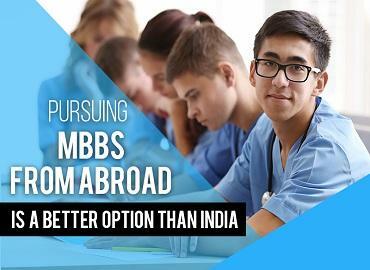 Students pursuing MBBS in India, face the primary concern of getting into a reputed institution for medical studies and since the majority of the medical students cannot afford the high capitation fees that the medical universities demand, this is where foreign countries come to the aid of the Indian medical students with their great offers. And young students manage to get through the rigorous process and the entrance exams for the government universities. Currently, students from various countries like India, China, Nepal, and Bangladesh, etc. are willing to go abroad and pursue their degrees as they offer high-quality education at very affordable rates. 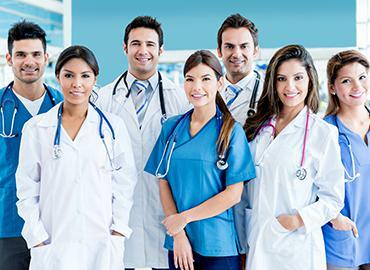 Foreign countries like Russia, Kyrgyzstan, Ukraine and many other destinations have become the top locations abroad to pursue MBBS as the medical universities there follow the International curriculum and are approved by the Medical Council of India (MCI) and enlisted under the World Directory Of Medical Schools (WDOMS). Easy Admissions: The process of admission is hassle-free and easy as there are no requirements of entrance exams to secure admission in any Top Medical University Abroad. Admission will be strictly based on your performance in the 12th standard. Students with more than 75% in their 12th standard are offered scholarship and also given preference. The process of admission in medical universities abroad is very simple and hassle-free. World Class Infrastructure: All the campuses have world class infrastructure along with modern types of equipment that are required for simulating real-life scenarios and situations. 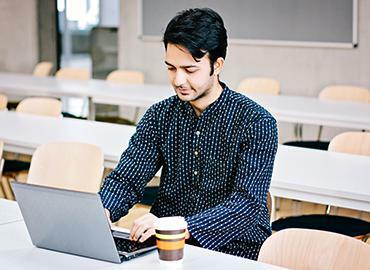 Most of the necessary amenities and facilities are available in the universities. Low Cost: The living costs are relatively budget-friendly or reasonable while pursuing your MBBS abroad or other foreign countries. Globally recognized degrees: Studying MBBS abroad is a great career option as most of the universities provide globally recognized degrees and are registered under the medical councils of various countries. No Donations or capitation fees: The students find it hard to pay the capitation fee or huge donations required in Private Medical Colleges of India. Most of the Medical Universities in Abroad require no capitation or donation. Even the tuition fee is very low as compared to the Private Indian Medical Colleges. Scholarships: Various scholarships are provided to the deserving candidates, who prove their worth and are willing to pursue medical education in abroad. Bright future: With the qualifications and recognized degrees that the graduates will obtain, a better future is guaranteed as they can practice medicine globally without any problems. High-standard of living: The quality of the living standard in foreign countries is obviously high and enriching. It is always fascinating for Indian students as they get exposure of International culture, lifestyle and can imbibe it in their personality to become a successful doctor.